The Second International Platinum Conference follows on from the first such event held two years earlier. Platinum production in southern Africa amounted to 80% of world production in 2005, with a small increase from 5.117 million ounces to 5.275 million ounces. For the seventh consecutive year, the platinum market is on course to record a moderate deficit in supply. This is reflected in the price increase from a trading range of US $860 - 880 in June 2005 to more than $1200 in May 2006. Southern Africa, with its extensive platinum reserves, will continue to be the dominant platinum producer and has a number of new mines in an advanced stage of planning. This conference will cover all aspects of platinum mining and processing, from exploration and orebody delineation, through mine development and operation, to mine closure. Mineral beneficiation, marketing, and compliance with the Mining Charter will also be subjects for discussion and debate. It is anticipated that the issue of overall increases in productivity, through the introduction of technology, will demonstrate southern Africa's status as a premier mining district. 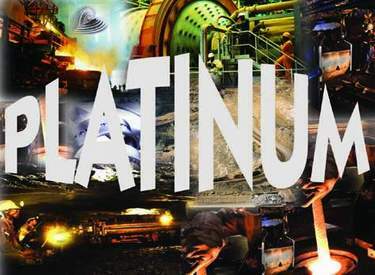 The slogan 'Platinum Surges Ahead' was selected to describe the exciting and vibrant nature of all aspects of platinum mining, beneficiation, and marketing. 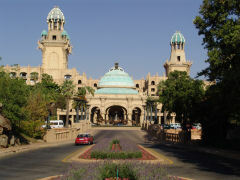 The conference is planned to begin on 8 October 2006, to allow for some introductory social activities (on the Sun City golf course, for example) on the Sunday preceding the three-day conference. Post-conference plant visits will be arranged for those interested on Thurday 12 October. Of significance to South African participants who are registered professional engineers, is the fact that this conference will provide 5 points towards the Continuing Professional Development that is required (as of 1 January 2006) to maintain registration with the Engineering Council of South Africa. Please include my details on the mailing list for Platinum 2006.